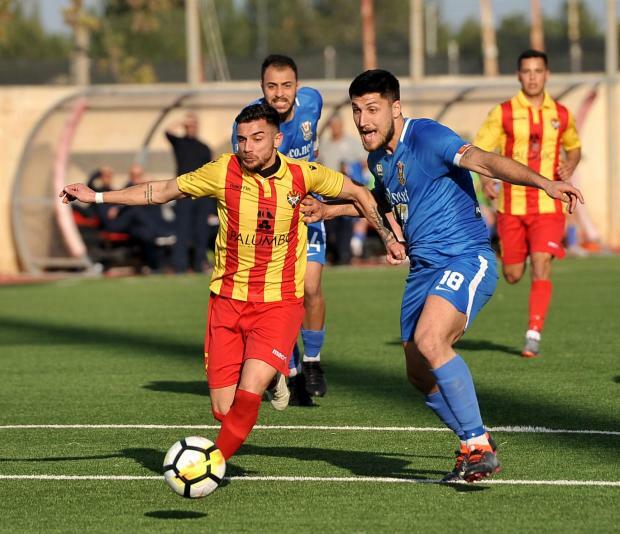 Senglea Athletic’s magical 2019 was prolonged after beating Pietà Hotspurs 2-1 at the Centenary Stadium, on Saturday. Enzo Potenza’s team have now claimed their fourth straight win in as many matches played this year and after a dismal start to the 2018/2019 campaign, they are now six points above 13th-placed Pietà and joint-12th with Mosta in the play-out spot. Senglea dominated proceedings with their vertical football that was putting their opponents under a lot of pressure. Japanese Taisei Marukawa was the biggest threat offered by the Cottonera outfit and on 23 minutes he almost struck but his close-range shot failed to hit the target. Nonetheless, it was the Hotspurs who had the chance to forge ahead when Arian Mrsulja floored Nicholas Pisani inside the area ten minutes from the break. However, Matthew Farrugia denied Gabriel Mensah from the penalty spot. To make it worse for Ramon Zammit’s team, Senglea broke the deadlock a couple of minutes later when defender El-Mehdi Sidqy converted a Diego Venancio’s corner into the first post to put Potenza’s clan ahead. Yet, Pietà managed to level terms just before half-time. A brilliant piece of quality by Jan Busuttil, who left two markers on the spot before firing a shot which Farrugia blocked temporarily before the ball dropped on Pisani’s feet who slotted the ball into empty net. Just before the hour-mark, Senglea took the lead once again. Matias Garcia dispossessed Uchenna Calistus in the middle of the park, sped towards goal before finding Augusto Caseres who curled the ball past Nicky Vella. In the 63rd minute, Senglea found themselves a man down when Mrsulja was shown a second yellow card for retaliating with Busuttil. However, Senglea managed to hold to their narrow advantage and claim three precious points. Taisei Marukawa was named BOV Player of the Match.